A venue rich with character, steeped in history, and a blank canvas to make any event a masterpiece. 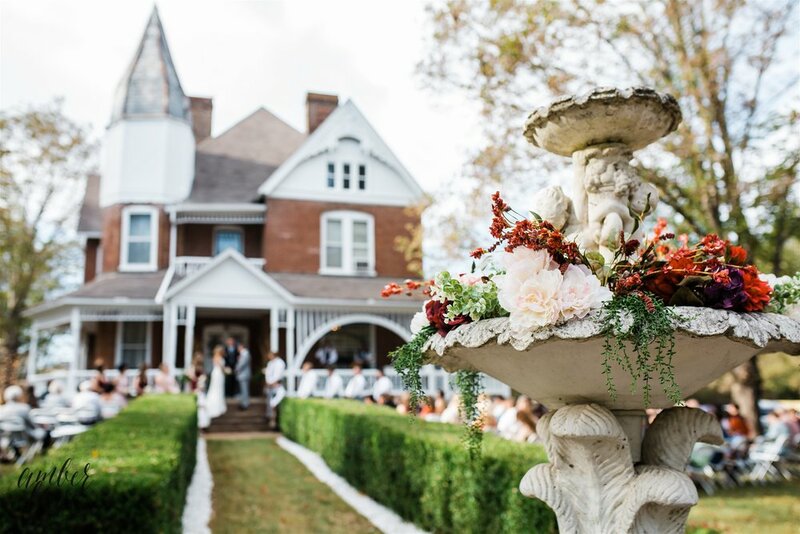 Explore a 1890's George Barber design Queen Ann Victorian home, grounds overflowing with decadence, and a flexible staff that is willing to assist in making your special day exactly what you deserve. Don't see a package that works for you? No problem, just contact us and we can create a custom quote for an event that fits your needs. "We love to host parties and after years of planning events professionally we knew we wanted a venue that provided an array of services while also providing flexibility to our customers and their event needs. We can plan the entire event or we can do as little as hand over the keys, the choice is yours. "